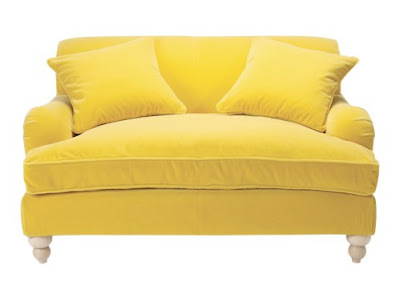 So, in trying to focus on my own home for a few minutes here and there, and pondering which color velvet or leather to go with on the dining room chairs, I have decided to put yellow on two chairs in my living room. 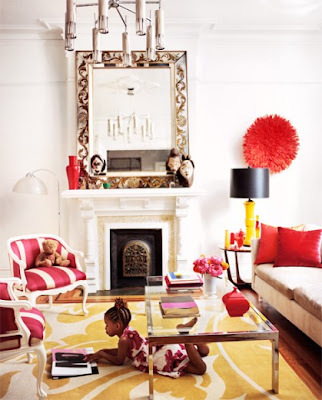 I love color, and I'm never afraid to use it. 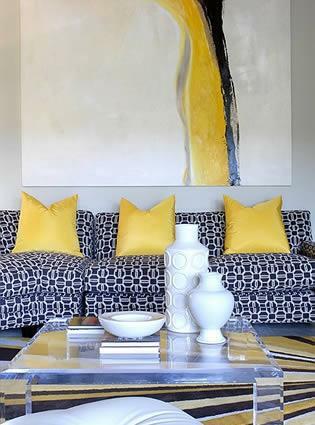 I'm a huge fan of yellow accents against navy and turqoise blue, I've got the blue walls - so bring on the yellow! 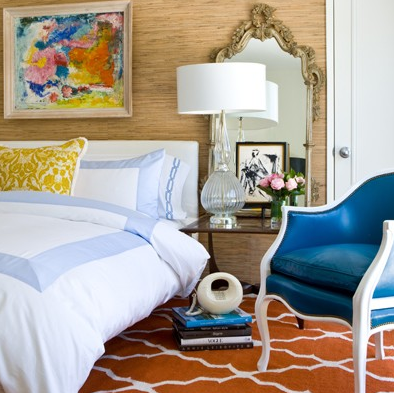 Realizing how much I love yellow and blue...look at my bed! 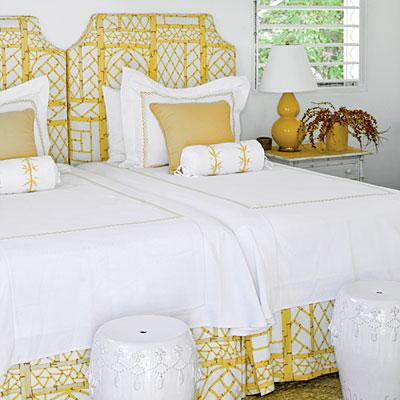 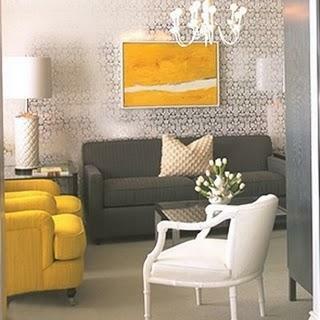 Some of the beautiful rooms that inspire my love for the yellow accenting!